Published: 02:57 Thursday - May 18, 2017 Travel to Mai Waterfall, tourists can not only contemplate the wonderful, mysterious scenery of waterfall and forest but also soak their feet in hot spring in Mai Waterfall eco-tourism zone. 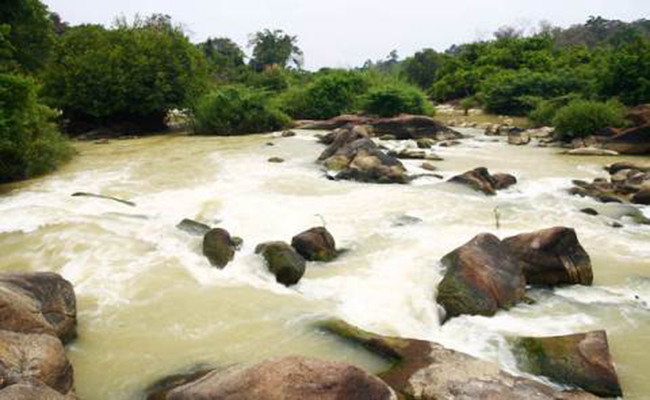 Thac Mai (apricot waterfall) is located in Thac Mai tourism site in Dinh Quan District, Dong Nai Province and is a popular tourist site on the magical La Nga River. The good news is it’s only around 100 kilometres from Ho Chi Minh City. Visitors should take Highway 20 and when they reach Dinh Quan turn right on the meandering road in the Tan Phu jungle and then face a 20 kilometre drive to the waterfall. 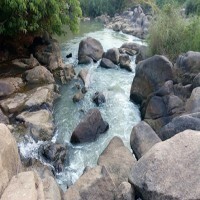 Thac Mai stretches for four kilometres of the La Nga River and has a large population of huge stones in unique shapes on both sides and on the river. There are also a number of caves that help add some mystery to the landscape. 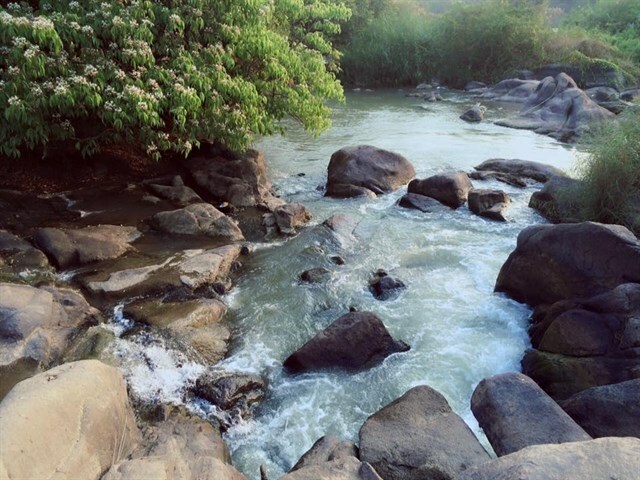 Tourists who want to discover the waterfall from above should climb up to the Voi Phuc islet which is a giant rock shaped like an elephant lying in the middle of the river. 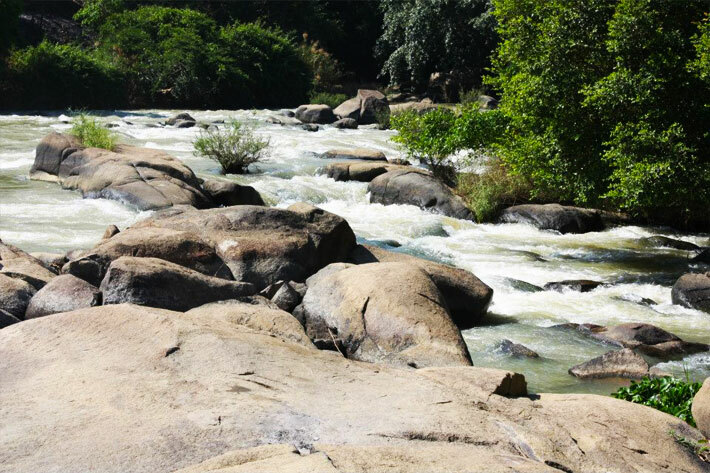 Standing on the islet and looking over the four sides, is a wonderful sight as you take in the beautiful waterfall, with its melodious sound of falling water, the surface sparkling under the sunlight and endless green jungle. During spring, tourists can savor mango and guava and admire the beauty of the purple flowers of bang lang and apricot. On the way to the waterfall there is also a nice break area where you can rest your weary limbs in the Da Ban hot water stream which has temperatures from 50 to 60 degrees Celsius. If you fancy a short trip out of the bustling city to relax with your family and friends, look no further than Thac Mai. Pongour Waterfall- The most beautiful waterfall in Tay Nguyen area.